Virginia Commonwealth University is a vibrant, welcoming community. It’s a place where you can be yourself or figure out who that self is. The best way to do that is to meet other people. People with similar interests, people who are completely different, people you’d never meet otherwise. They’ll make your college experience meaningful and help you be a part of something bigger than yourself. You’ll discover things you love to do here, and you’ll find others who love those things, too. With nearly 500 organizations, it’s easy to meet people who share your interests, whether it’s helping the homeless, bass fishing or the love of all things Disney. Find your club. 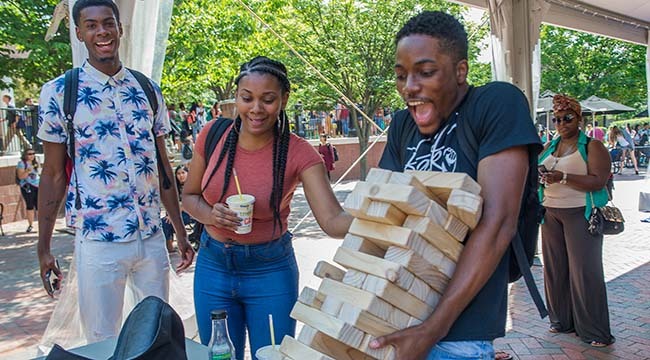 There are 35 fraternities and sororities at VCU that can help you find your niche. 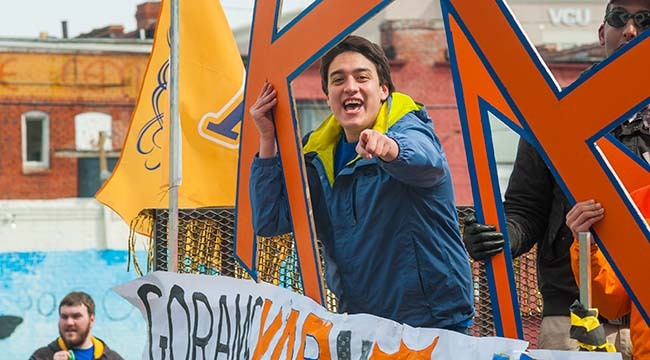 Learn more about VCU’s greek life. VCU’s SGA gives you the chance to advocate for fellow students, work with the university’s administration and flex your leadership muscles. Step up to the plate. If being active and staying fit is important to you, you’re in luck. 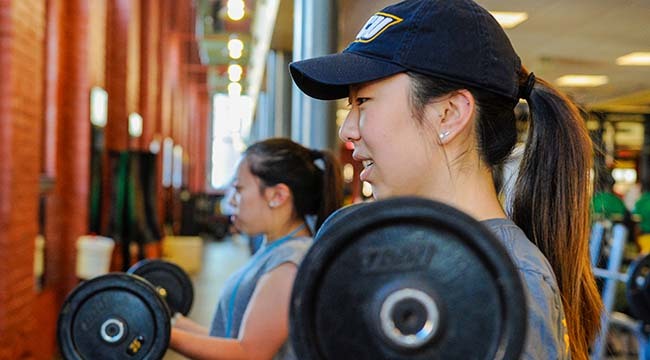 We offer workout facilities, pools, intramural sports, club sports, exercise classes and much more. Rec Sports’ Outdoor Adventure Program features trips, gear rentals and a bike shop. Get moving. With one of the top arts schools in the country, it should come as no surprise that the arts are huge at VCU. 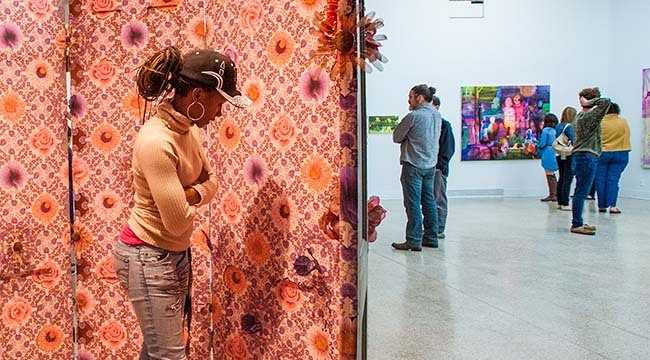 There’s always an exhibit to visit or a performance to see. See what’s on. From our radio station to our award-winning student newspaper, there are plenty of ways to make your voice heard and add clips to your portfolio. Check out student media options. 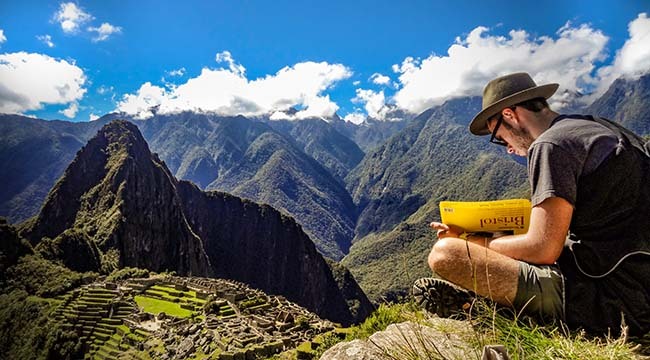 VCU offers tons of study abroad options and is part of a network of more than 300 universities in more than 50 countries. The best part? 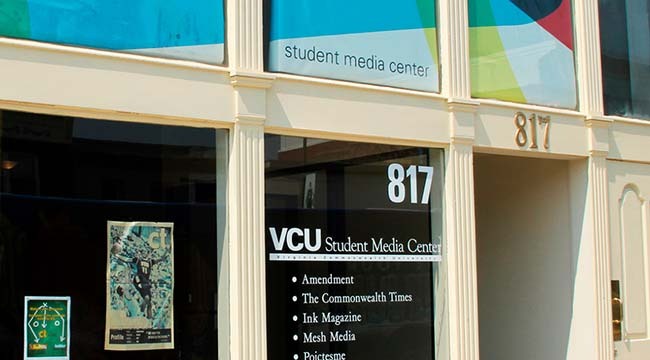 Many program fees cost the same as VCU’s in-state tuition, room and board. Get ready for an adventure. Giving back is second-nature for VCU students. 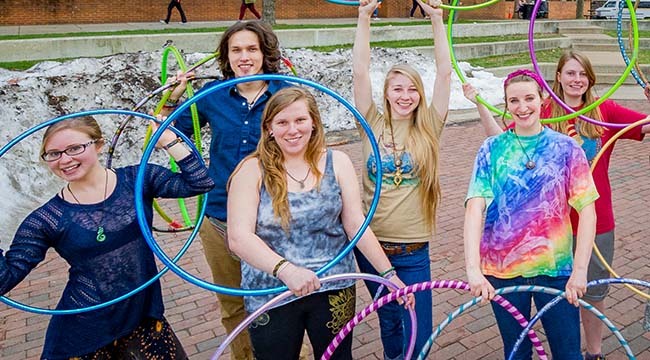 The university has become a national model for community engagement, with more than 10,000 students actively involved in community service each year. The power to make the world a better place is yours for the taking. There’s no place quite like VCU. We celebrate the little (and big) things that make us different from the pack. And when we get together, well, let’s just say we get rowdy and leave it at that. During orientation, students (and the occasional superstitious parent) touch the ram horns sculpture outside the University Student Commons and make a wish. A pep rally, parade, concert and plenty of face-painting, all culminating in a men’s basketball game at the Siegel Center. We don’t need a football team to show our school pride. Our beloved pep band has made a name for itself on the national stage for its costumes, antics, nontraditional song choices and all-out rowdiness. 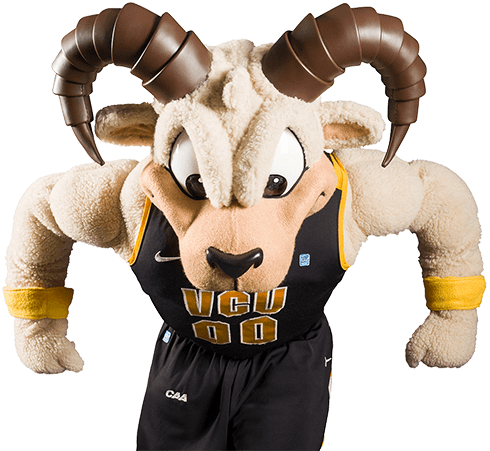 Every fall, Richmond’s main thoroughfare closes for the VCU Broad Street Mile, which combines a 5K, a series of one-mile fun runs, a street festival and a fundraiser into one big, happy community celebration. A spring tradition for more than 20 years, this student-run festival celebrates diversity in the Richmond community with unique performances, authentic food, games, cultural displays and more.